Having studied business and worked in financial services for three years, I realised it wasn’t for me and decided to follow my passion for beauty. I chose to study a Beauty Specialist Diploma in the prestigious Galligan College of Beauty on Grafton Street, where I received my CIBTAC and ITEC qualifications. 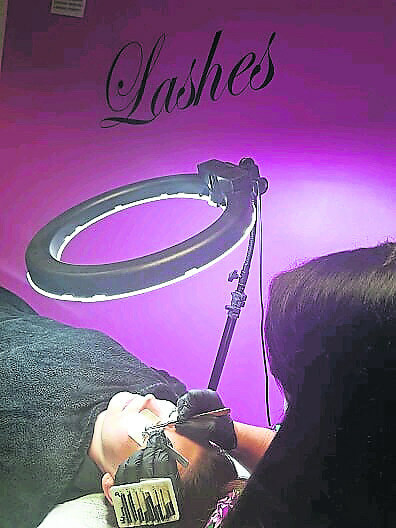 I went on to specialise in semi-permanent eyelash extensions at Glamour Lashes, Maynooth. I opened the doors of Beauty & Grace in June 2017, and since then it has grown to be busy little beauty room. Situated in Clane Business Park, it is in walking distance of the village, with ample free parking with no time limits. My clients love the fact they can come up for a spray tan in their pyjamas! l Eyelash Extensions — I ensure I use the safest and most ethical products. All my products are from Glamour Lashes. I like to give each client the time and attention they need to make sure that they leave with the best style and shape to suit them. l Gel polish — The products I use are all from The Manicure Company with lots of gorgeous colours to choose from. l Spray Tan — I use Bbold professional Spray Tan which lasts five to seven days and has an anti-ageing, quick drying, even fade technology and is also paraben free. l Tinting and Waxing — I offer brow shaping and tinting along with facial waxing. *Patch test required when making your first appointment. I work by appointment only and I am very flexible with my opening hours. I can open early mornings, late evenings and Saturdays to suit your busy lifestyle or to work around the kids. I will be adding more treatments to my list soon, including make-up. For appointments don’t hesitate to contact me any time. You can find me on Instagram, Facebook or call 085 2871488. 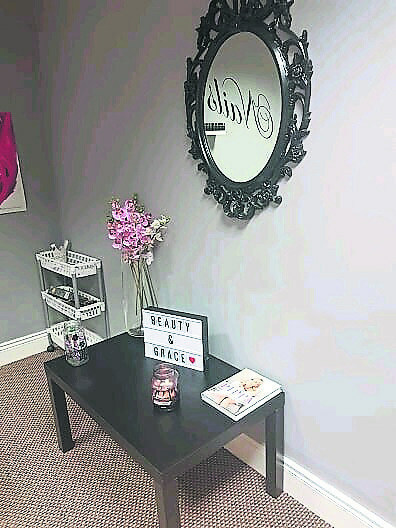 Beauty & Grace is located at Unit 4FB, Clane Business Park.